You can now enroll in or change 2018 Marketplace health insurance. The 2018 Open Enrollment Period runs from November 1, 2017 to December 15, 2017. 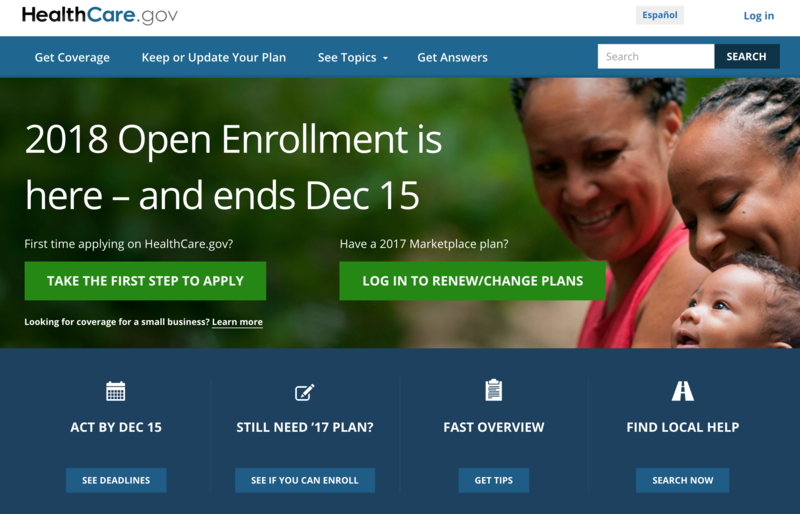 The 2018 Open Enrollment is shorter than in previous years. If you don’t act by December 15, you can’t get 2018 coverage unless you qualify for a Special Enrollment Period. Plans sold during Open Enrollment start January 1, 2018. January 1, 2018: 2018 coverage starts, if premium paid.